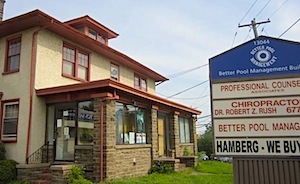 Dr. Bob Rush, Chiropractic Relief & Wellness has been offering expert chiropractic care in our quaint and comfortable office off Bustleton Avenue since 1993. Our promise to you is that we’ll do everything possible to properly diagnose your condition, and provide the care you need. Dr. Bob is proud of his reputation as a skilled diagnostician, and often receives referrals of difficult cases from local doctors when they have a patient who isn’t responding well to traditional medical care. Our goal is to help our patients feel better and stay better. Most insurance policies will pay for at least some of your chiropractic care, and offer other benefits such as in-office testing (as needed), personal TENS (electric stim units that you can keep) and so on. We also work with Personal Injury (Automobile Accidents) and Workers’ Compensation (Injured on the job) insurances and have respected working relationships with MDs and Attorneys. Dr. Rush is also a strong Personal Expert Witness for depositions and court appearances, and his reports are impeccable. Call today to see how we can help you. Ready to start your journey to wellness?